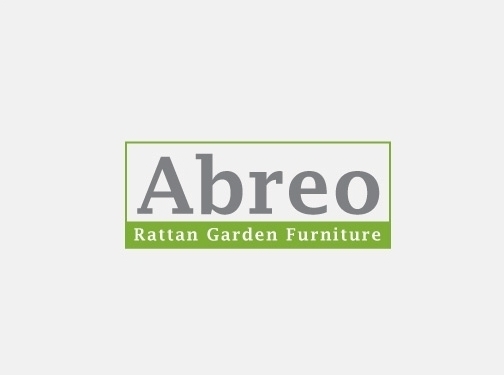 Rattan garden furniture from Abreo has many advantages over other traditional types of outdoor furniture. 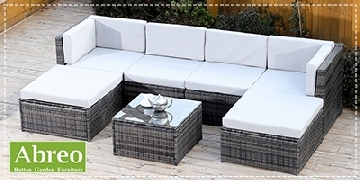 As well as being a great cheap alternative to traditional garden furniture, rattan furniture is weatherproof, resistant to UV light and easy to keep clean. Another of the great benefits of rattan furniture is that unlike traditional wooden garden furniture, it won"t warp in the heat of the sun. Rattan garden furniture is comfortable and highly functional, and is the only garden furniture that looks great indoors too. Rattan is a strong and durable material, but due to its innovative wicker design it is lightweight and easy to move around. Add to this the stylish and modern look of our rattan garden furniture and we think you will agree that rattan is the best option whether you"re looking for cheap garden furniture or a high quality luxury item. UK (Haydock) based business providing garden furniture for sale. Website includes e-commerce facilities, delivery and returns information, terms and conditions, full contact details including company registration number.